Intelligent Broadband Multimedia Networks is a non-mathematical, but highly systems oriented, coverage of modern intelligent information networks. This volume focuses on the convergence of computers and communications technologies. Most of the concepts that are generic to all intelligent networks, and their microscopic and macroscopic functions, are presented. 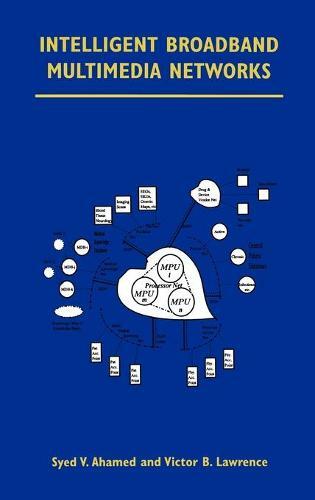 This book includes specific architectures that can be used by network designers and planners, telecommunications managers, computer scientists, and telecommunications professionals. The breadth of this coverage and the systems orientation of this work make the text suitable for use in advanced level courses on intelligent communications networks. The material in this volume ranges from defining intelligent networks to more specific coverage of educational, medical, and knowledge-based networks. Each of the 20 chapters address issues that can help make the transition from computer design, to the underlying concepts of modern telecommunications systems, to considerations necessary for the implementation of intelligent network services. Special and timely coverage of emerging technologies, such as HDSL, ADSL, BISDN, wireless, broadband access, ATM, and other topics, are given expanded treatment. The authors have included design methodologies for installing intelligence into almost any communications systems, and procedures for using such intelligence according to the type of function expected from these networks. Unique features of the book are: a 64-page glossary of key terms (with expanded explanations) used in the field, a 23-page index that makes it easy to search for important information, running headers on each page to help the busy professional use the book as a reference/design tool, complete references including additional reading for more detailed information, and accurate and concise information to help telecommunications professionals understand the intricacies of the field.